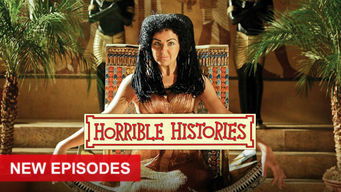 How to watch Horrible Histories: Season 5 (2012) on Netflix Canada! Sorry, Horrible Histories: Season 5 is not available on Canadian Netflix, but you can unlock it right now in Canada and start watching! With a few simple steps you can change your Netflix region to a country like United Kingdom and start watching British Netflix, which includes Horrible Histories: Season 5. 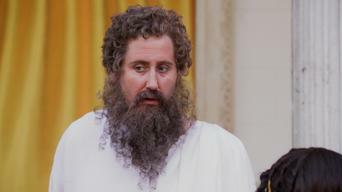 We'll keep checking Netflix Canada for Horrible Histories: Season 5, and this page will be updated with any changes. 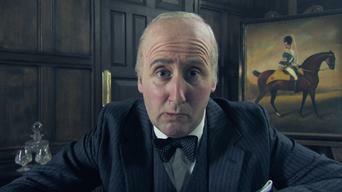 Horrible Histories: Season 5 is not available in Canada BUT it can be unlocked and viewed! This hilarious series, based on the best-selling books, proves that sometimes the most memorable moments in history are also the least pleasant. Today's lesson: Pile on the gore and grue. Because here's a little secret about the dark ages -- they're gross. 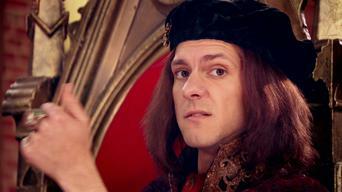 Season 1 of Horrible Histories has 13 episodes. Because different Netflix countries have different availability for episodes, you'll need to check the episode listing below to see which are available in Canada. A pirate captain worries about an early bedtime, a soldier from World War I struggles with fake food and the four King Georges form a boy band. A Stone Age doctor tries to help a modern patient, a whining Pharaoh invents the pyramid and Tudor King Henry VIII meets his dead friends. A Roman emperor finds a nasty alternative to candles and the Roundheads and Cavaliers from the English Civil War take part in Historical Wife Swap. The Tudors sing their family history, Bob explains the history of Rome in two minutes and a mad Victorian man eats King Louis XIV's mummified heart. A priest makes a piano from live pigs, Emperor Caligula declares war on the sea and we discover disgusting beauty tips from ancient Egypt. An evil Greek god appears on a daytime chat show, a rich Georgian swaps his wife with a peasant and we meet some weird medieval monsters. The Houses Of Parliament in London smell of poo, Cinderella struggles with the Blitz and Helen of Troy reveals her complicated love life. The Saxons exchange disgusting Christmas presents, a caveman goes on a TV cookery show and we discover the bizarre causes of World War I. 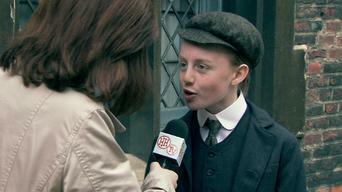 A Victorian inspector checks that school is suitably cruel, HHTV News reports live from the Great Plague and Thumbelina drowns in poo. HHTV News reports from the Battle of Thermopylae, Celt housewives find decorative uses for severed heads and we learn the truth about Roman toilets. Queen Victoria learns her British comforts aren't very British, a Viking warrior talks in rhyme and aspiring executioners appear on The Axe Factor. A Victorian teacher is confused by her pupils' bizarre names, the Romans run out of animals to execute and Queen Victoria advertises her exercise DVD. 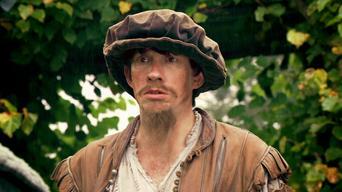 A lazy aristocrat invents the sandwich, the Romans host a revolting cookery show and William Shakespeare is haunted by the ghost of King Richard III. Season 2 of Horrible Histories has 14 episodes. Because different Netflix countries have different availability for episodes, you'll need to check the episode listing below to see which are available in Canada. A prank-loving emperor hosts a dinner party on Roman Come Dine with Me and the Durham Home Guard injure themselves while learning first aid. A pirate regrets stealing a herd of seasick cows, a Georgian invents a new way of boxing and the Georgian army fights a bunch of naughty schoolboys. In Ancient Greece, it's time for Spartan High School Musical, a jester breaks bad news to Henry VIII using armpit raspberries, learn how to stay fit with the Caveman Workout, and Roman emperor Nero stars in a (not very) romantic movie. Britain's greatest sailor turns out to be horribly seasick, two doctors from the Middle Ages argue and the World War II Girls sing about girl power. An Incan kid has the worst birthday ever, a Roman farmer meets a door-to-door poo salesman and King George IV embarks on a solo musical career. The Ug and Ugio families go head-to-head on Stone Age Family Fortunes and mad King George III's doctors are even madder than he is. Joan of Arc gets a visit from a confused angel, a pirate makes his crew dress like ladies and Mrs. Celt enjoys being a Roman on Historical Wife Swap. 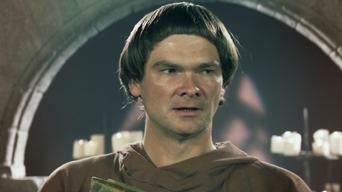 Some Vikings attack a monastery but can't remember why, a peasant gets a posh makeover and Crimewatch BC tries to solve the murder of Julius Caesar. The Stuarts are confused by a new drink called tea, a Viking funeral ends in a massive fight and some cowboys sing about life in the Wild West. King Charles I sends someone else to get married for him, a recruit regrets joining the Georgian Army and Cleopatra reveals her weird beauty secrets. Roman emperor Caligula collects seashells, King Henry VIII plays tennis while Anne Boleyn is executed and naughty Saxon monks throw a funky party. Ug and Grunt demonstrate how to paint like a caveman, silly World War II codebreakers forget their own code and two kings stage a wrestling smackdown! This compilation of the songs features Spartan High School Musical, the Viking Rock Band, Queen Boudica, Incan emperor Pachacuti and more. A journalist interviews William the Conqueror, Queen Elizabeth eats sugar sculptures and Oliver Cromwell bans everything on Christmas Day. Season 3 of Horrible Histories has 13 episodes. Because different Netflix countries have different availability for episodes, you'll need to check the episode listing below to see which are available in Canada. A Roman general goes to extremes to triumph; a French count punks guests on his own reality show; Aztec chefs cook dog steak and pond scum biscuits. Knights watch the siege forecast before a raid; historical chefs serve whale phlegm; Walter Raleigh's severed head puts dinner guests on edge. A naïve war recruit adapts to the trenches; paramedics treat a patient using sheep and heavy stones; Welsh women effortlessly stymie French invaders. Charles II is dismayed by his coronation gift; a detective probes a series of Roman murders; HHTV investigates cheating in jousting matches. A doctor in ancient Rome sees medicinal value in gladiator's blood; Louis XVI and Marie Antoinette play "Wife Swap" with starving French peasants. Henry VIII tries to market his all-meat diet; paramedics use spiders to treat asthma attacks; Adm. Nelson's last words baffle his public. A Scottish sport involves twisting hindquarters off dead cows; Paul Revere invents a new toothpaste; a language barrier changes history. Henry VIII competes in a horse race against child jockeys; Vikings cyber-bully a Saxon king; HHTV reports live during the storming of the Bastille. Raiders let a monk live so he can extol their villainy in prose; Queen Elizabeth imposes a dress code; death by plague becomes socially unacceptable. Master chefs teach wartime improvisation in the trenches; Spanish conquistadors and Aztecs face off in a video game; Barbarians share fashion tips. A Tudor not-quite-love story is retold as a comic book; poor Victorians aspire to move up through the sewers; a German noble seeks a very unusual dog. A feudal peasant tries to leverage his plague-free status; the residents of 1518 Strasbourg catch dance fever; an Irish king bans all rhymes. Music videos from Season 3 include "The Ages of Stone," "Ra Ra Cleopatra," "Celtic Boast Battle" and other comic favorites. 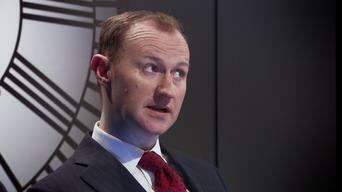 Season 4 of Horrible Histories has 15 episodes. Because different Netflix countries have different availability for episodes, you'll need to check the episode listing below to see which are available in Canada. 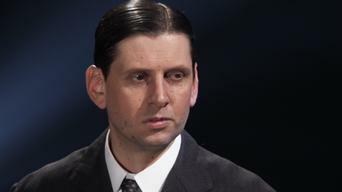 Season 5 of Horrible Histories has 13 episodes. Because different Netflix countries have different availability for episodes, you'll need to check the episode listing below to see which are available in Canada.